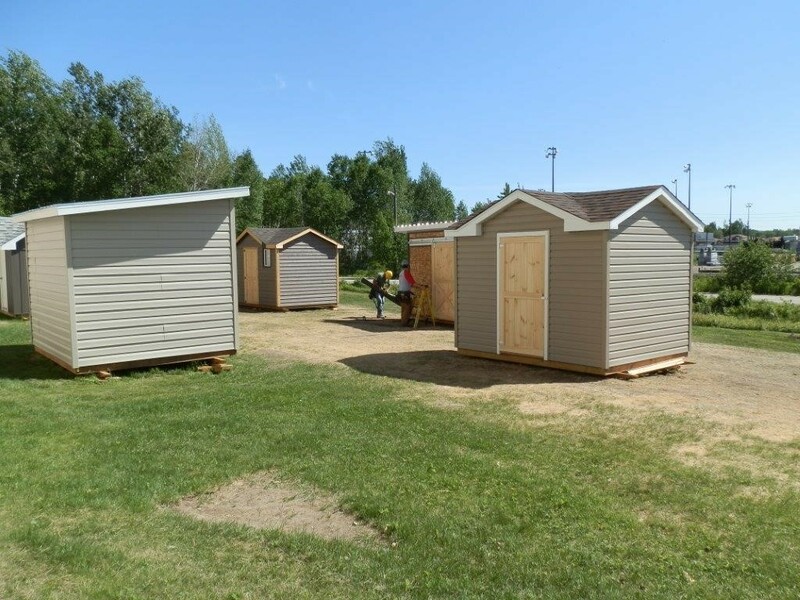 Just in time for spring-cleaning, Canadore Building Construction Technician students are offering their skills and services in an experiential learning project by building garden sheds for interested community clients for purchase. Students in their third semester of the Building Construction Technician program have been collaborating with community clients to determine the design of their garden sheds as their final projects for the program. Clients were able to select a variety of design options including the size of the shed, the colour palette for the siding and roofing shingles, the roofline and the location of the window, among other customizations. In the final weeks of the program, the students completed the project based on their clients’ specifications and the program coordinated pickup and delivery of the sheds to their new homes.